The Newport Liberty Half is now an NYCRUNS race and better than ever! Pacers provided by the Marlboro Running Club for the following times: 1:25, 1:30, 1:45, 2:00, 2:15, 2:30, 3:00. The Marlboro Running Club is based out of Marlboro township in Central New Jersey. There are currently over 280 members. 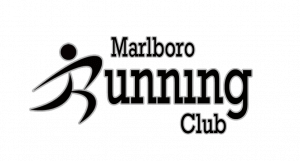 The Marlboro Running club is for runners on all levels to chat, learn, share, motivate and RUN. We even have supervised group runs for kids. Find us on Facebook and come join our group runs !!" Bag check and toilets will be provided. Water and Gatorade will be available on the course, and bagels, spreads, fresh fruit and more will make up the usual great NYCRUNS post-race spread at the finish line. The giveaway for this race will be a great short sleeve tech t-shirt*. All finishers will receive a medal. Free finish line photos and video will be available on your results page within a week of the race. Pre-race pickup will be available in Manhattan and Newport. Pickup in Manhattan will be on Friday and in Newport on Saturday. Exact times and locations are TBD. Race-day packet pickup will be available in the festival area at Newport Green Park, starting at 6:30 AM and ending at 8:15 AM. If registering on or before August 14, you can choose to have your bib and shirt mailed to you for an additional fee of $25. You must choose this option when registering; shipping to domestic US addresses only. Until Packet Pickup Begins $90. From Manhattan: Take the Holland Tunnel. Upon exiting in Jersey City, make the first right at the Speedway service station. Make a right onto 18th Street which becomes Washington Boulevard. Proceed south. At Newport Parkway, follow race parking signs. From New Jersey: Take the New Jersey Turnpike Extension (from NJ Turnpike North or South or Rt. 78 East) to Exit 14C. After coming down the ramp, make right at traffic light onto Jersey Avenue. Bear left onto 11th Street Viaduct which becomes Newport Parkway. Pass Newport Centre Mall on right. Make right onto Washington Boulevard. Follow race parking signs. Parking: Garage is located at 561 Washington Blvd. Please check MTA Trip Planner for up-to-date and detailed mass transit directions and Google Maps for driving directions. Parking is limited at all of our events, we strongly encourage you to use mass transit.